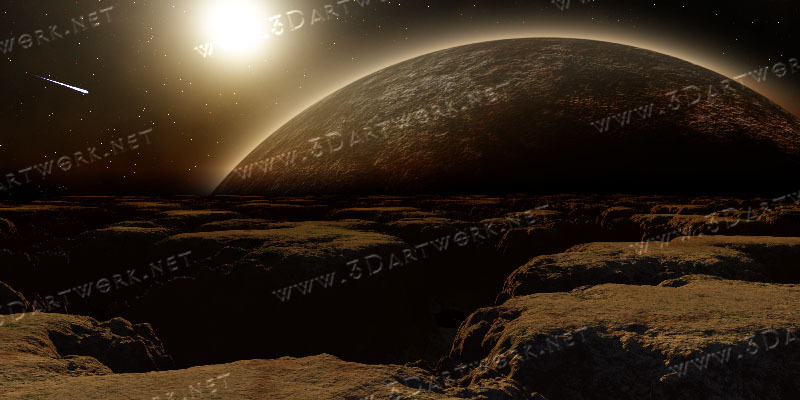 Well... After an argument with my girl about how I should not put a planet in the other artwork I am currently working on (view it), I created a new scene so that I could get my planet fix! HA, I showed her!.... Better post this before she wakes up lol. Anyways, hope you like! Well.... Alright I am getting mad at this one! I can't seem to get the horizon to my liking, and until then I will be delaying it's release. I just can't seem to bring myself to release an artwork that is not up to my standards, ya know? Anyways, I am actively working on this, the final renders are all finished just have to get them blended together just right, then it's a go!